I began my gaming career using a computer that ran on BASIC, but it was DOS which gave me most of my legendary and most treasured classic gaming experiences. Someone feels the same way, apparently, as they’ve created a massive posted of posted listing what they feel is worthwhile DOS games. Sadly I can’t find who the author is, but if anyone knows, please let me know. This list includes the classics like Wing Commander, Starflight, Star Control II and many others. The image above is a shrunken image of the original, since the original was too big for WordPress. Sorry about this, but WordPress is being finicky. You’ll have to open the below image in a new tab/window to see it in its full size, which is pretty dang huge. Enjoy! Terra Nova! So cruelly overlooked, and so easily forgotten. Oh lord yes, likely my favorite mecha game behind Heavy Gear 2. Just sooooooo damned good. AND I just remembered I have it on disk. Oh happy day! 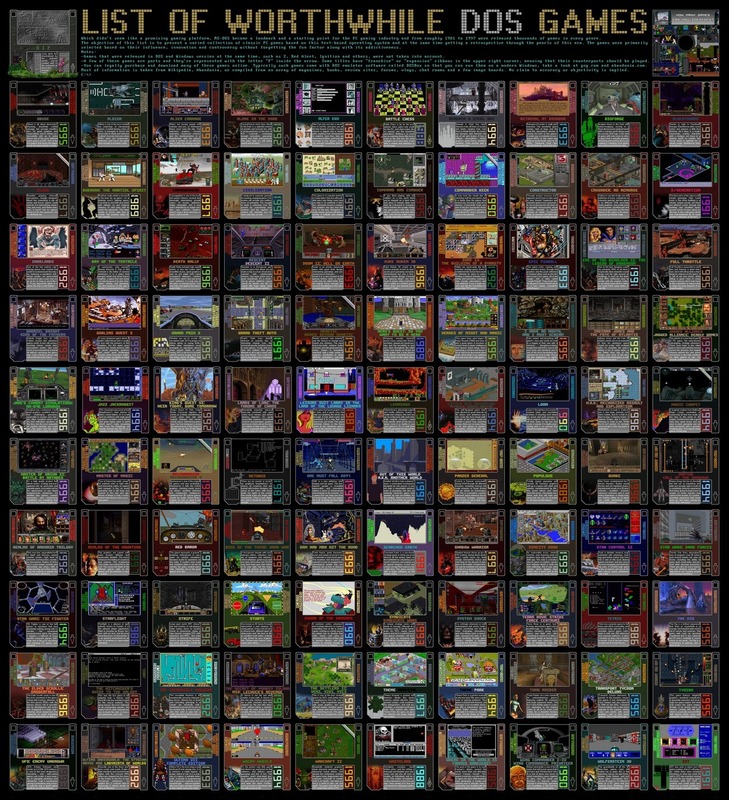 It wasn’t until GOG came around that I realized how many games I played in a window (ie. Warcraft) or with half a screen obstructed (ie. Wing Commander). Man, this list makes me feel old. Zork? Trek? How about Sundog and Elite? Or the original Castle Wolfenstein, for that matter. I’m also surprised Dungeon Keeper didn’t make the cut. Regardless, the list is full of nostalgia. Hey Silencor, welcome to the blog!!! Previous story Hey Indie Developers! Check Out Steam’s Upcoming Greenlight Project!